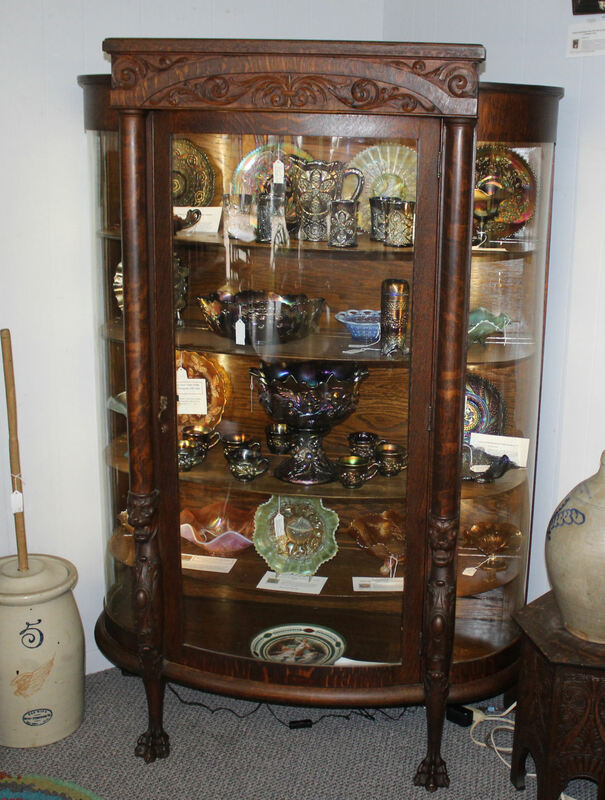 This Oak china cabinet is in very good original finish. This cabinet has two side curved glass sections and the large curved glass center door that is divided by two round columns that are supported by carved claw feet and lion heads. This makes a very attractive display cabinet with the solid oak shelves. Measures 18″ depth, 47″ width and 67 1/2″ Height. Circa 1900.